As China's most international and diversified bank, Bank of China provides a comprehensive range of financial services to customers across the Chinese mainland, Hong Kong, Macau, Taiwan and 36 overseas countries. The Bank's core business is commercial banking, including corporate banking, personal banking and financial markets services. BOC International Holdings Limited, a wholly owned subsidiary, is the Bank's investment banking arm. Bank of China Group Insurance Company Limited and Bank of China Insurance Company Limited, wholly owned subsidiaries, run the Bank's insurance business. 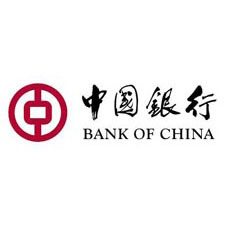 Bank of China Group Investment Limited, a wholly owned subsidiary, undertakes the Bank's direct investment and investment management business. Bank of China Investment Management Co., Ltd., a controlled subsidiary, operates the Bank's fund management business. BOC Aviation Pte. Ltd., a wholly owned subsidiary, is in charge of the Bank's aircraft leasing business.